Following those words, Justice Lucas directed the jury to return a not guilty of murder verdict in the trial of Kirk Smith, Jr., 22, accused of the August 15, 2010 shooting death of Ian Arnold at his Berkeley Street residence. Arnold, a practicing Rastafarian and an employee of Wesley College, was shot multiple times and died about one hour later. 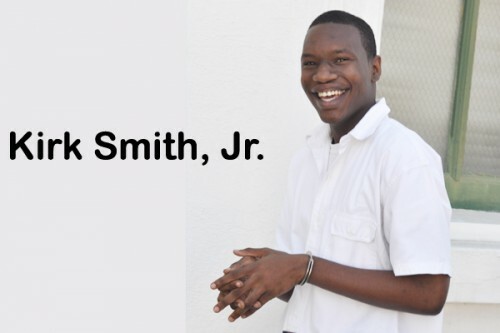 Four days after the homicide, Belize City police arrested and charged Smith, Jr., for Arnold’s murder. Smith, however, never participated in a police identification parade. After 10 witnesses had testified in the trial which began on February 27, the prosecution, represented by Crown Counsels Kaysha Grant and Shanice Lovell, closed their case this morning, and Justice Lucas invited Smith’s attorney, Bryan Neal, to make a no-case submission. The prosecution’s main witness, Police Constable #1195 Antonio Pop, gave evidence that he was renting a house, located at the corner of East Canal and Berkeley Street. Pop testified that he saw a man coming up Berkeley Street with his hand in his pocket. He later heard several gunshots and saw a man coming back out of Berkeley Street with a gun in his hand. But in his no-case submission, Neal contended that the witness, Pop, testified that he saw the accused from a distance of about forty feet away. Under cross-examination, however, Pop admitted that the distance was about ten feet. There was an inconsistency in Pop’s assessment of his distance from the witness – with Pop stating a certain distance in his initial testimony and then changing it under cross-examination. Neal submitted that there was nothing to suggest to PC Pop that from his vantage point, a crime was about to be committed. So, he only made a casual glance at an unsuspecting person that would have caused no need for him to make a specific observation. “When assessing the quality of the evidence under the Turnbull Doctrine, the jury is protected from acting upon the type of evidence which, even if believed, experience has shown to be a possible source of injustice,” Neal submitted. Before returning the jury to the courtroom, Justice Lucas observed that PC Pop was the only eyewitness and there was no other evidence. “Pop said he saw the accused for 15 seconds. The second sighting was for two seconds. The sighting is best described as fleeting. PC Pop did not know the accused and had not seen him before. I will direct the jury to find the accused not guilty of murder,” Justice Lucas declared. After Justice Lucas told Smith to leave the courtroom, he sprang out of the prisoner’s dock and hastily made his way out of the court area, literally running away from reporters. His attorney, Neal, however, told Kremandala reporters that basically what the court did today was to intervene to prevent a miscarriage of justice, having reviewed the evidence of identification. “It is always open to the court to withdraw a case from the jury, either at the end of the prosecution’s case or at the end of the defense’s case.,” he said. Neal added that he found some Privy Council cases which indicated that if the judge found that there was not sufficient evidence for a case to go to the jury, then he is duty-bound to withdraw the case. “Really, there was no identification evidence that a jury could have considered and brought back a just verdict,” Neal explained.